Hello there loves! How are you? 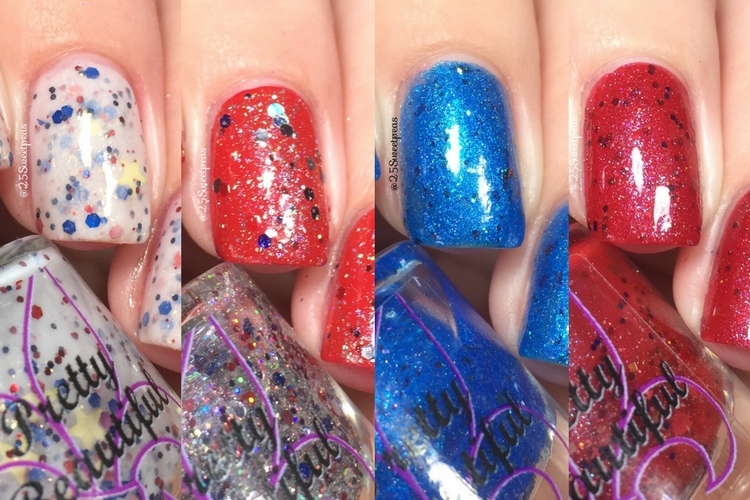 Today I am sharing more perfect for the 4th of July Polishes. Some of you may remember these from last year. These are Pretty Beautiful Unlimited's polish that came out last year for the occasion. That being said they have been rereleased this year so I thought it would be fun to share them with you again plus with the addition of a video! I love that all of these polishes are so festive. Literally you can wear any of them alone and feel all ready and festive. 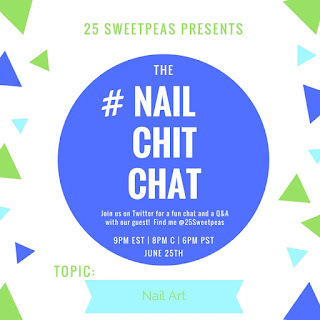 Of course you can so nail art with them but you don't have to which makes for a great quick mani in a rush! A royal blue crelly base with slight holo, UCC flakies that shift from pink to purple to blue to green and rainbow pearl micro flakies, covers completely in 2 coats. I really love this blue. Its shimmer and color are just insane and look great in the sunlight. I am having a lot of fun wearing all of these festive manis even though its a little early. This one is described as a red crelly base with blue shimmer, and has red & navy golf glitters in various sizes in it. It covers completely in 2 coats. Ah, ok can we just talk about that blue shimmer! Its so fun and totally makes this polish. Like you just look like your wearing red and then that light hits and BAM blue shimmer! Yep obsessed with this one all over again. I feel like I need to wear this one again soon. Like ASAP. A super fun white crelly base with a gold shimmer, navy and red glitters along with gold stars. Takes about 3 coats to get a dull coverage. If you don't want to do that much you could totally wear this on top of a white polish to shorten up that coat amount. I am really enjoying the layered look that gives the mani depth which is just unique. I don't wear many polishes like this so its refreshing! A clear holo topper with red shimmer, packed with navy and red glitters in various sizes. I used just one coat and got a lovely even amount of everything in this topper. This topper is awesome! You can out it on literally anything and just look festive. I am wearing it on Serendipity Nail Polish Big Red Bow. Which I actually showed you all in another post this week! Ya'll can check that out here. Well loves! That is it for today! I hope you area having a great week! Just in case you don't know... #NailChitChat will be happening this weekend! I don't know why, but that blog post was released earlier this week but wasn't working properly so I had to remove it however the details are below so be sure to check that out and join us on Sunday.